In case you didn't know I co-host some pretty excellent podcasts (if I do say so myself) that you should totally subscribe to. 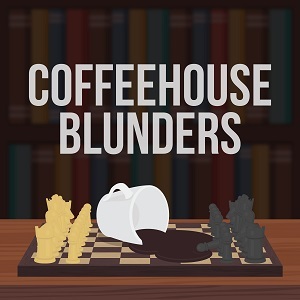 Including Merge Conflict where I talk code and tech with the one and only Frank Krueger and then there is Coffeehouse Blunder where I chat with my good friend and Chess IM Daniel Rensch about chess, coffee, and life. On top of that I even recently started a podcast network where we have started on-boarding some excellent podcasts like The V Spot, an amazing vegan podcast, and a Travel inspiration podcast called Trinspo. So, let's just say I love podcasting! I have been doing it for somewhere around 8 years and in that time I have learned a lot! I often get asked... "James, I want to start a podcast, what do I need?". I usually respond in e-mail form or start up a conversation, but I decided it was time for me to write this all down! So here we go! I think no matter who you ask the question of what equipment should I buy will be different. I have fallen in love with Blue products, so those are really what I usually recommend as they are very flexible. That is why I have made the equipment guide have different entry levels. I think anyone should be able to podcast and the key is to NEVER record on your laptop microphone. If you are in a pinch these things are actually pretty decent and will get much better audio then your laptop microphone. Just be sure to talk directly into them. The next step at the really entry level is to get a headset. The Logitech USB Headset H390 with Noise Cancelling Mic is a solid choice, runs off of USB, and will get you off the ground running. The next jump up is to really improve your audio quality and only a condenser microphone will do. My go to in this category is the Blue Nessie Adaptive USB Condenser Mic, which clock in at about $100. I recorded over 100 episodes of my podcasts on this microphone and it is fantastic. It has a built in shock mount, pop filter, and even has a headphone monitor so you can hear yourself when you podcast (which I highly recommend). It is really nice of all the Blue microphones it is my favorite. Everything up to now has been USB based, which is totally fine! However at some point you want a bit more control over your audio and setup. While I loved my Nessie I really wanted to adjust my mic to the perfect height, control the levels, and have the podcaster look when someone walks by the desk. Here the setup still isn't too crazy and you are in a good place to upgrade over time. We are headed into the XLR space so get ready! I have progressed through the levels and think I have a pretty decent setup. I have full control over nearly aspect of my audio and things aren't crazy cluttered on my desk. Essentially this is the upgraded version of Intermediate and most makes things a bit nicer on the desk and again more "proish" without breaking the bank. Maybe one day I will return to this section, but to be honest I think my Intermediate Level is pretty "Pro" and I haven't gone above an beyond that. When you are on the go it is important to have everything need to podcast, which includes a great microphone that is compact. The Raspberry has been my travel buddy and works great via USB, but also directly into an iOS device. Sometimes you may need to record multiple people on the go (or even at home) and the Zoom devices are what seems to me as an industry standard. We have used them at home, on the road, and always have one with us when we need to podcast. When you are recording with someone that is remote you will need a way to capture the audio. My preferred mechanism is Zencastr, which offers a lot for free including voice over IP, post processing of audio, download of multiple streams, place markers, and even a small chat. Zencastr works by recording all audio locally in the browser (Chrome or Firefox on any operating system) and then uploading it at the end. You can then run post production to levelize and take out noise and sync those files to Dropbox or just download them. 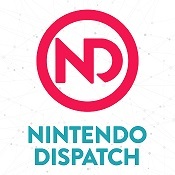 Zencastr isn't perfect though and from time to time you may get audio drift between the tracks, which means post production will do nothing for you and you need to just download the tracks and edit. The nice thing is that the tracks will be pure compared to attempting to record a Skype call or something crazy. If worst comes to worst you can have your guest download audacity and just hit record! No need to spend any money here for fancy audio software. I simply use audacity! It has been around for a long time and while it isn't the most beautiful software in the world it totally works. 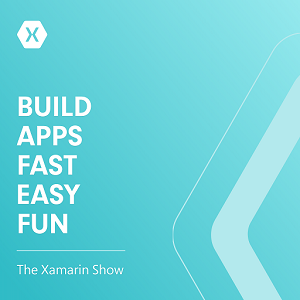 Once you spend some time in it you will be editing podcasts super fast. Another nice download is Levelator, which simply levels out the audio in a podcast. This is nifty if you don't have any post production and need the audio of you and your guest to be the same throughout the entire track. Remember to export to Mono and at max 128 kbps audio! There are a lot of podcast hosts out there including the big players such as libsyn, podbean, and even simplecast. 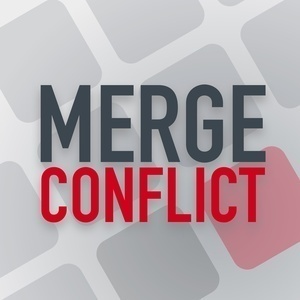 For Merge Conflict we tried both libsyn and then went to simplecast. Libsyn didn't offer the web enhancements that we wanted and after about 30 episodes on Simplecast we weren't sure of their future and wanted to do more customization. That is when we switch to our new host that we simply love, Fireside.fm. It is a great host that is run by 5by5.tv's Dan Benjamin and is packed full of great features at a great price. 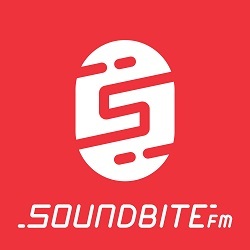 We host all of soundbite.fm's podcasts on Fireside for their great support, analytics, and beautiful websites. There you have it, from start to finish everything that you need to get started podasting. I hope that you have found this post nifty and if you have recommendations please feel free to leave them in the comments below.